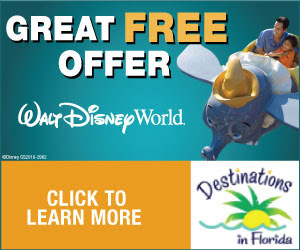 Walt Disney World Resort is known worldwide as a fun-in-the-sun vacation playground for all ages. But this time of year when the skies turn damp, there is still plenty of all-weather fun at Walt Disney World Resort. From movies and shopping to spas and theme parks, guests are “showered” with fun throughout the Vacation Kingdom. 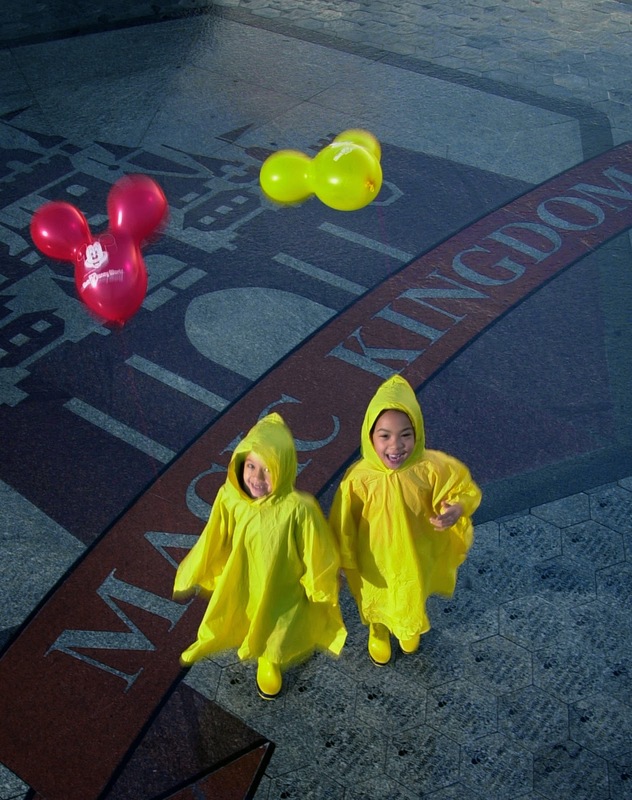 Grab a poncho or umbrella and venture to Epcot, Magic Kingdom, Disney’s Hollywood Studios or Disney’s Animal Kingdom where many attractions and shows are indoor theater experiences or have covered pavilions. Guests with a waterproof mentality discover the theme parks may be less crowded on wet-weather days. Showcase to character and specialty merchandise at the World of Disney store at Downtown Disney Marketplace — the largest Disney character showplace anywhere. Get soaked – in a whirlpool spa at Senses, A Disney Spa located at Disney’s Grand Floridian Resort and Saratoga Springs Resort. Both locations feature pampering possibilities such as facials, massages, aromatherapy, and body wraps. For reservations contact 407/939-7727. Curl up with hot imported tea and a warm scone at Disney’s Grand Floridian Resort & Spa. High tea is served daily from 2-6 p.m. with fruit tartlets, scones, tea sandwiches and freshly baked pastries. Guests are entertained by the sounds of a grand piano. For reservations, contact 407/WDW-DINE. Head to the gym and hire a personal trainer at nearly a dozen Disney resort health clubs that feature state-of-the-art fitness equipment. Call 407/824-4321. Design and “ride” gravity-defying roller coasters at DisneyQuest, an indoor — and weatherproof — interactive theme park at Downtown Disney West Side. This family-entertainment complex features high-tech rides, simulators, games and virtual-reality attractions. Catch the latest Hollywood hit at the AMC 24 movie theater complex at Downtown Disney West Side. Rain can’t wash out date night or girl’s night out when there’s AMC’s Fork and Screen, which treats movie-goers to first-run films and an extensive food and beverage menu a push of a button away. Check out the action in HP Field House at ESPN Wide World of Sports Complex, which hosts everything from basketball and cheer competitions to volleyball and wrestling. Contact 407/939-1500 for ticket information. Enjoy the “fun wet” at one of two Disney water parks — Blizzard Beach or Typhoon Lagoon. Duck into one of the restaurants or clubs at Disney’s BoardWalk. Upscale and family dining, a piano bar, brewery and sports club are among the adventures along the boardwalk at this resort with a seaside theme. Tame your tresses at one of the several full-service hair salons located at select Disney resort hotels. Enjoy a concert inside House of Blues at Downtown Disney West Side. Test virtual skills — racing a car, golfing or even skiing — with an array of indoor simulator video games at ESPN Club, plus video arcades in Disney resort hotels. Be amazed at the artistry, athleticism and theatrics of La Nouba, a 90-minute original Cirque du Soleil production at Downtown Disney West Side. For ticket information, contact 407/939-7600. Clap your hands and stomp your feet at the “Hoop-Dee-Doo Musical Revue,” a popular family-style dinner show at Disney’s Fort Wilderness Resort and Campground. Contact 407/WDW-DINE to make reservations. Dine around the world at Epcot World Showcase, or savor the culinary delights at hundreds of other eateries throughout Walt Disney World Resort. Dining adventures include Wolfgang Puck Café and Bongos Cuban Café at Downtown Disney West Side and the award-winning California Grill at Disney’s Contemporary Resort. Enjoy the downpour of fun in Rainforest Café at Downtown Disney Marketplace. This lush eatery is decorated with banyan trees, tropical fish and waterfalls, plus special effects recreate tropical storms with lightning and thunder. Not to worry, savvy guest. You stay nice and dry. Get out of the rain, and into some bowling shoes, at Splitsville – an upscale bowling and dining complex located at Downtown Disney West Side. With 30 lanes, 50,000 square feet of entertainment space, and everything from a balcony bar to billiards and live music, there is something for the whole family to enjoy. Learn firsthand how Disney’s iconic characters are brought to life at Disney’s Animation Academy at Disney’s Hollywood Studios. With help from a Disney artist, guests enjoy a unique hands-on opportunity to draw their very own Disney character sketch. These 30-minute classes occur every half hour and require no reservation.